The notes of Mathilde Laurent’s new Heure de Parfum, III - L’Heure Vertueuse – lavender, rosemary, thyme, lentisque, verbena and absinth – read like a nursery rhyme. Or, perhaps, the ingredients of a natural remedy? Cartier's in-house perfumer has never been afraid of nose-searing aromatic notes, as demonstrated early on by her Aqua Allegoria Herba Fresca for Guerlain, then Roadster for Cartier. 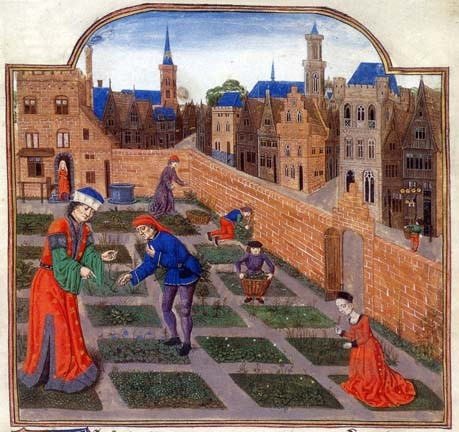 This time, she's made straight for the medieval apothecary's garden and looted it. L’Heure Vertueuse is a ballsy scent – it’s worth remembering here that the word “virtue” comes from the Latin meaning “moral strength, manliness, valor” and has the same etymology as virile. Broad, impulsive strokes of green aromatic notes, so powerful you’ve got to wonder whether this is fine fragrance or medicine. No perspective, no pyramid: the olfactory equivalent of the all-over technique. A massive terpenic blast, dominated by lavender, with mint and pine effects. But like the more delicate L’Heure Brillante (green-citrus) or L’Heure Folle (berry bush), once you poke your nose inside you catch the details: for instance, a tiny, unclaimed balsamic effect that suddenly brings to mind Caron’s Pour un Homme – but after the perfumer’s gone medieval on its formula. I am currently using an anti-stress remedy by Tisserand, applying it to pulse points where I don't normally wear perfume, to make that distinction in my mind as to its purpose. But actually it smells quite pleasant and could almost be a fragrance. So this is all a grey area. Or a green area, rather! Vanessa, I like the fact that it challenges my "purist" stance, whatever that is... blurring the edges is always so much more interesting than certainties. My full-bottle candidate in the collection is still L'Heure Fougueuse, but most of them make me *think*, and I love that in Laurent's work. I just finished reading a novel and watching a film about Hildegard von Bingen ,and I wish I had a sample of this as it sounds like it would have been a perfect companion! This sounds similar to a balm I made for dementia patients to calm them and help them sleep at night. It was a lovely herbal combo and was just as popular among the staff. The recipe was given to me by a senior nurse, who'd learned it from her own mentor. I'm glad Mathilde Laurent is "blurring the lines" at a time when so many are freaking out over the perceived evils of smelly things, and forgetting how many smelly plants we've used as remedies and comforts over the centuries! Sounds brilliant. A green area indeed. Perfume as Remedy. Medicinal smelling eaux are my soft spot. I guess I have always been fascinated by the smell of old apothecaries and I kinda see perfume as an antidote to many ailments - a remedy if you will. Also pulling off these "elixirs", especially when the wearer is a woman, gives off such a disregard for popular pret-a-porter fashion that can have an exalting effect. This review got me in the mood for some medicinal vibe. Unfortunately I live nowhere near a cartier boutique so experiencing this Heure will have to wait for some time, however I'm going to settle with what I have handy. I'll be reaching for Dzongkha and feel (as some reviewer put it) like "spending some time in a luxury private clinic". Have a nice (hospital free) week! Carol, would that be the movie by Margarathe von Trotta? Her films rarely make it to France, sadly. Hildegard von Bingen is an utterly fascinating character, and since she was a physician, herbal remedies were right up her alley! The current regulatory inflation is absurd because the EU's scientific committee refuses to take into account the sheer number of people exposed to all these essences and unharmed by them, to focus on a clutch of reported cases... But that's another topic. Jordan, I recommend reading Alain Corbin's "The Foul and the Fragrant" for a fascinating history of smells and scents in Europe up to the 18th century. 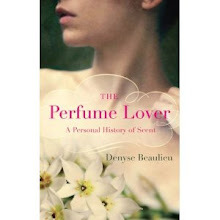 Perfume was indeed used as a remedy for centuries, even millenia. Kostas, L'Heure Vertueuse smells herbal and aromatic rather than "medicinal" per se: it is the medicinal virtues of those herbs that give it the connotation, so that's why I stressed that angle here. But the dominant is lavender/minty. Yes have read parts of Alain's book when I was chasing down your Queen Victoria reference about the French reaction to her attire and perfume. 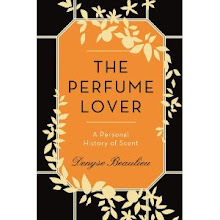 Looking forward to reading the Fascinating History of Smells and Scents in Europe and Canada from the 19th Century to the 21st by Denyse Beaulieu which I believe you have almost finished writing in two languages in between translating Shades of Grey and being a Muse. Jordan, yes, I remember now that we discussed the Corbin. But I'm no historian! And sadly, it doesn't seem publishers are ready to put out that type of book unless they get sponsored by a big company. This is why Elisabeth de Feydeau's history/anthology/dictionary was sponsored by Firmenich. Yes, the film "Vison" - I was able to stream it from Netflix. Am needing to read more about her now! Carol, I see it's with the wonderful Barbara Sukowa... I'll have to look it up. i love this line - i think she has done some really interesting, quality work. i own two, but wouldn't mind being gifted with the rest! must try this latest - sounds challenging! Minette, I can't say aromatic is my favorite type of note, but I do love the Mystérieuse, Fougueuse and Treizième... Even the fruity one (Brillante) I like, even though that's not my favorite register either. Fougueuse is still my favorite - I wear it often and still am finding unexplored facets. And lord, but it makes me feel sublimely RICH! Like G6 rich. Cosseted Percheron rich. 11cwt emerald-cut IF diamond rich. These days, that's a welcome feeling!!! That being said,Vertueuse sounds like something I would enjoy, especially on stressful days. Blurring the lines is good, in my opinion. Not everything has to smell like perfume. Musette, the Fougueuse is the one I'd love a full bottle of... I could definitely see myself having it as a go-to fragrance. Nozknoz, so do I! Actually, there *is* one for the press, so it wouldn't be that difficult to put out. Denyse, after reading that you and Musette and Victoria love Fougueuse, I tried it and am also in love! It's like a magical ride on a dream horse on a mid-summer's night. Which I can certainly use on the edge of winter. Nozknoz, I'm happy to have been an enabler on this -- Victoria, Musette and I often love the same things, don't we?